Celebrate the holidays by taking part in our Nutcracker Winter Camp! We always think about our fashionistas, and we know that once the season turns colder, nothing would be more wonderful for them than to tuck into our warm studio and create a cozy winter garment while learning the ins and outs of design, pattern making and sewing. 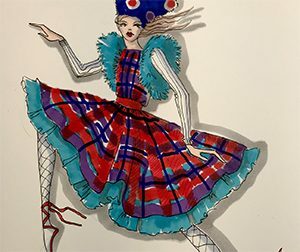 Mix plaids, tartans and tulle to create your next Nutcracker themed garment! Just imagine how a winter inspired tutu dress or a festive holiday vest would look on you! No experience necessary! Winter Session Package $375. Please visit our website www.newenglandfashionanddesign.com for more information regarding class schedules, locations and how to enroll.